1.) They wear bow ties more than your average (non-stripper) twenty-something-year-old. 2.) Old men frequently wear more tweed newsie-style hats than other age groups. 4.) They wore everything now-popular before it got popular, making them . . . dare I say . . . the original hipsters? 5.) Despite societal shifts, they still value chivalry, and can often be spotted opening doors for ladies. 7.) 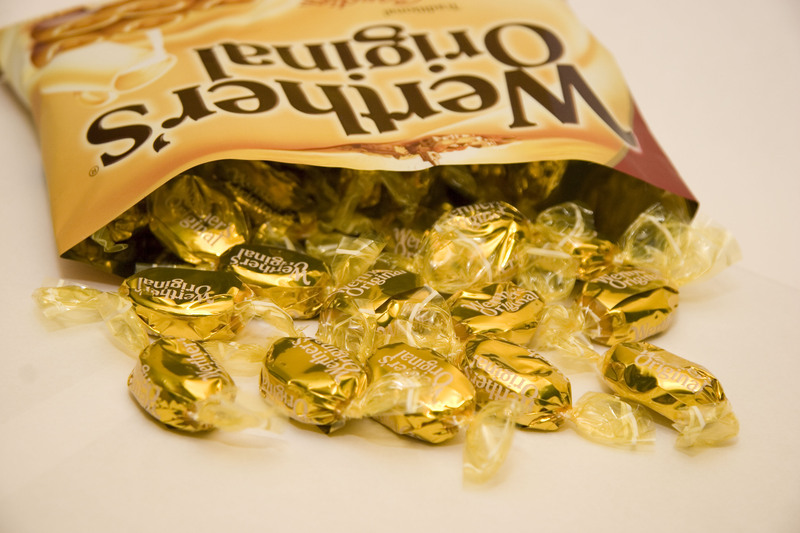 Werthers, while generally considered an “old man” candy, are still the ONLY delicious hard candy. 8.) The process of aging has mellowed out the macho and they feel okay with expressing emotions while remaining secure in their masculinity. . . awwww. 10.) Old men often retain the strong values they began with, most particularly perseverance in doing what is right . . . which is (in my humble opinion) a pretty big reason why the most beautiful marriages started so very long ago. . . dedication in love is so very admirable, and so few people still value that perseverance. I’m not saying I’m in love with an old dude or anything, and I know nobody’s perfect, but pas gentlemanly generations certainly just do some things better, don’t you think?